How many of us can say that we know someone that is battling or has battled some form of cancer? Now I know you are reading this, but I have my hand waving high above my head in agreeance with my initial opening sentence. If I were to do a poll I would say that the chances are 9/10 these days which is completely shocking and scary to say the least. Cancer has become one of the most common and most powerful diseases in the world, it does not care who you are, or how long you have been alive and it is completely non-judgmental. However, there are things we can change in our everyday lives which will help all of us in the prevention of cancer. One of the biggest similarities of those being diagnosed with cancer is the indication of having a poor eating habits. To think that something that we do every day to survive (yes eating) could actually be contributing to reasons why more and more people are being diagnosed with cancer. Just think about that for a moment, is this not something that we all hold the key too? YES of course it is!. Having a properly well balanced nutrition plan that consists of cancer fighting foods rich in antioxidants is something that all of us have the ability of changing. Studies show that if your meals consists of whole grains and which is rich in fruit and vegetables that it can lower your chances at developing many types of cancer. Here is a list of some cancer fighting foods you should be incorporating into your daily meals, which help your chances at fighting cancer. Cruciferous Vegetables (such as broccoli, cauliflower, and cabbage, they contain strong antioxidants that may help decrease cancer risks. 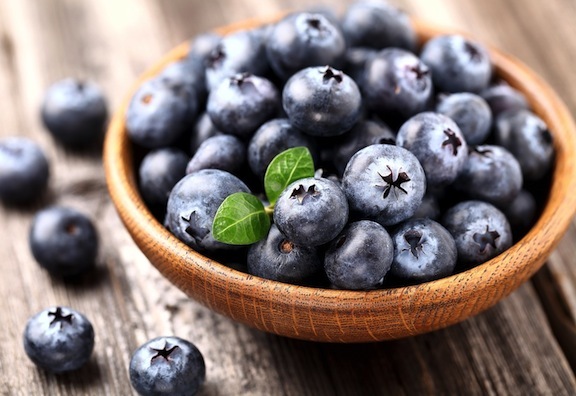 Blueberries (are the best when it comes to cancer fighting agents. Blueberries show prevention in many types of cancer). Organic Green Tea *which I drink everyday* (antioxidants in the leaves have been shown to slow/prevent the development of several types of cancer which include colon, liver, breast, and prostate). Whole grains (contain a variety of anti-cancer agents including antioxidants, fiber, and phytoestrogens, which help prevent most types of cancer. Remember it is never to late to start!